Chinese State Councilor and Foreign Minister Wang Yi paid a visit to Africa on Jan. 2-6, carrying on a 29-year tradition of making Africa the destination of a Chinese top diplomat's first new year overseas trip. Wang said friendship between China and African countries is "solid and unbreakable" as ever and that cooperation between them continues to be robust and "expanding fast." African leaders hailed Wang's visit as a testimony of their true friendship, saying it injects a strong impetus in their relations with China. 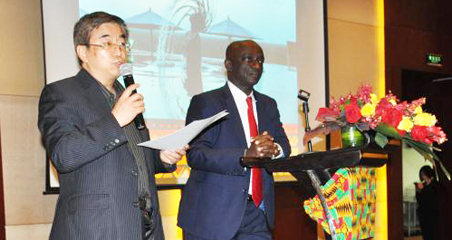 Wang's five-day African trip covered Ethiopia, Burkina Faso, Gambia and Senegal. He also visited the headquarters of the African Union (AU) in Addis Ababa. 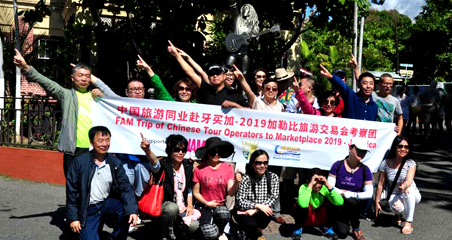 Wang's Africa trip also came after the Forum on China-Africa Cooperation (FOCAC) Beijing Summit in September 2018. "The visit honors a 29-year-old tradition of the Chinese foreign minister making Africa the destination of his first visit in the new year and reflects the strong friendship built over the past decades," said Xu Zhicheng, an associate professor at the School of Economics, Henan University who specializes in aid studies. In Dakar, Wang and leaders of Senegal vowed to boost their cooperation. Senegal's Foreign Minister Sidiki Kaba said Senegal will expand cooperation with China, including that related to the Belt and Road Initiative. "Facts have proved that the decision of Burkina Faso to resume the diplomatic ties with China is 100 percent correct," Wang said. In Ouagadougou, President of Burkina Faso Roch Marc Christian Kabore said the people of Burkina Faso are filled with hope for the future of the bilateral ties. He said such rumors are an attempt to discredit China's sincere support and had been refuted by many African countries. Wang added that China sincerely upholds openness and transparency and strictly follows local laws and market rules of different countries, and that it never allows and will never tolerate any black-box operations and corrupt practices. 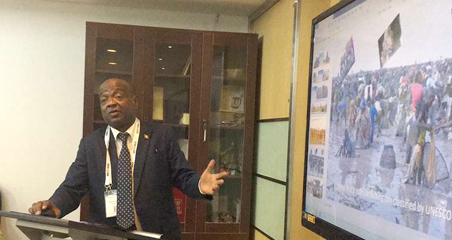 Xu said the cooperation projects between China and Africa are often characterized by the respect for the choice of the African people to pursue their own development paths; and the concentration of the projects in the infrastructural sector which leverages China's experience and strengths to serve the purpose of development promotion in Africa. "The relationship is set to be further strengthened in the future," Xu said.